Louisa Preston has been photographing and writing since she was a child. 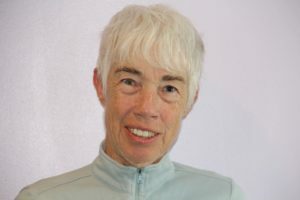 Her images and articles have been published in magazines (GEO, Defenders of Wildlife, Sierra Club, AAA Tidewater Traveler, airline magazines, photography magazines, scuba diving magazines, newspaper and books). One Person exhibits in the One Market Plaza, S.F., Galerie Chacun, S.F., and Second Floor Gallery, Virginia. Her fine art prints are in the permanent art collection of The Packard Foundation and the San Francisco International Airport. Assignments include AAA Tidewater Traveler, Health South Rehabilitation Hospital, Defenders of Wildlife, The Tech Museum, Achieve Inc., BEA Systems, the Hiller Aviation Museum, etc. For five years she was the photographer for the Microsurgical Foundation in San Francisco. She volunteers as a photographer for Goochland Cares in Virginia, which offers families services, a clinic and food bank. For two years she was Co-President of the Northern California Chapter of ASMP (American Society of Media Photographers). She is a life member of ASMP. She was a Peace Corps volunteer in Peru. As a photographer, scuba diver, and writer she continues to travel. A stock list is available by request. Come peruse Louisa's vast portfolio. She photographs people. lifestyle, nature, medical, and travel. Louisa offers a wide variety of workshops for all ages. Click on the link below to see what she is offering! All photographs, text and code appearing on this website are the exclusive property of Louisa Preston Productions and are protected under United States and International Copyright Laws. Photographs, text and code may not be reproduced, copied, stored, or manipulated in any form without the written permission of the respective photographer. This includes use of any image as part of another photographic concept or illustration. No image or any part of this site is within public domain.